Time is money, and that’s true as well for airlines when an aircraft cannot take off due to a technical issue, as in this case. This is what is known as an AOG (Aircraft On Ground) situation, where the required aircraft parts must be replaced absolutely as quickly as possible. In this case, it’s not just hours that matter, but minutes – and with zero tolerance for delays. Aerospace Logistics professionals from Globaltrans are used to situations like this and ensure a smooth transport procedure. 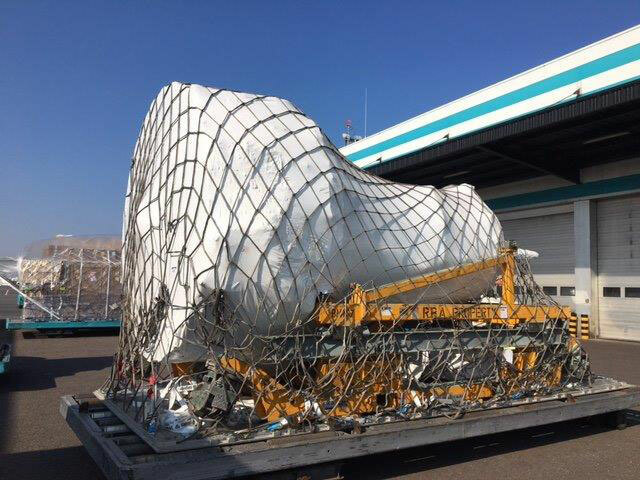 The same applied for this transport of a replacement aircraft engine valued at USD 3,800,000 for an Airbus A380. The engine was safely transported on a dedicated truck from Toulouse/France to Luxembourg and flown on a Cargolux Boeing 747-800 F direct flight from there to Miami. “Every minute counts” was what Globaltrans had to meet. The engine arrived in Miami in the shortest possible time, was tested again just to be on the safe side, and the Airbus A380 was able to take off again. “Mission accomplished” thanks to specialists from Globaltrans and Cargolux working together in perfect cooperation.